Preparing for a move in Voorhees Township or abroad? 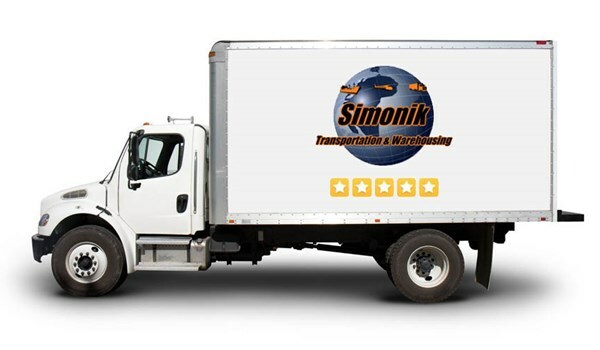 Whether you’re relocating for business, real estate opportunities, or for a fresh start in a new home, the expert NJ movers of Simonik Transportation and Warehousing is here to make your move easy. Our fleet, featuring everything from world-class drivers to air-ride truck beds, can handle your move with expertise, giving you the top-quality moving experience that you and your family deserve. As an industry leader in business since 1977, our Voorhees Township movers have the experience to get you where you need to go, worry-free. Local NJ Movers: Our award-winning movers make local moving in Voorhees a breeze. Long-Distance Moving: Whether you’re moving across the state or across the continent, we have Allied Van Line’s trusted nationwide network on our side to help. Warehousing and Distribution: We have the logistics services you need to scale your business and thrive. Storage: Short- or long-term storage give you the time you need to make your transition on your terms. Specialized Moving: Our movers in Voorhees NJ can help you relocate everything from vehicles to warehouse equipment safely. International Moving: As a Registered International Mover (RIM), we’re capable of handling moves wherever you may go. Whether you’re a home or business in need of moving services, a storage plan is a great way to avoid a potential disaster. Last-minute remodeling needs, zoning issues, or utility delays can put a stint in your schedule and leave your items stranded. Unlike other Voorhees NJ moving companies, we offer flexible storage options to combat delays and streamline your moving needs with a single, trusted source. Our secure warehouses offer flexible plans for homes and businesses alike, for short and long-term needs. Give our New Jersey moving company a call now to learn more about our services. You can also request a free in-home moving estimate from a member of our team by filling out our easy online quote form!